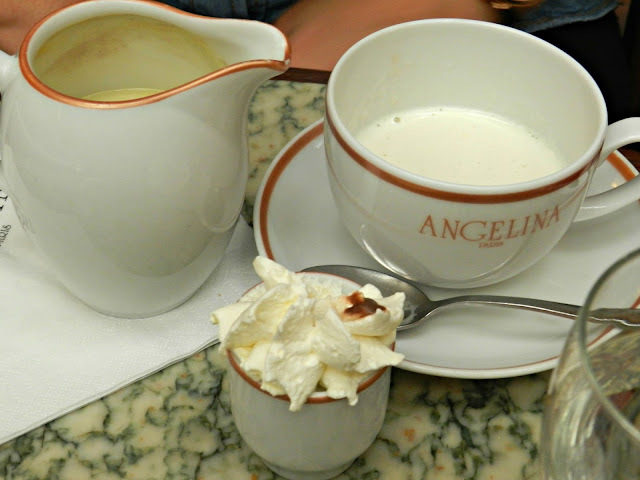 What best known for their mont-blanc and chocolat chaud, Angelina's is a must when in Paris. 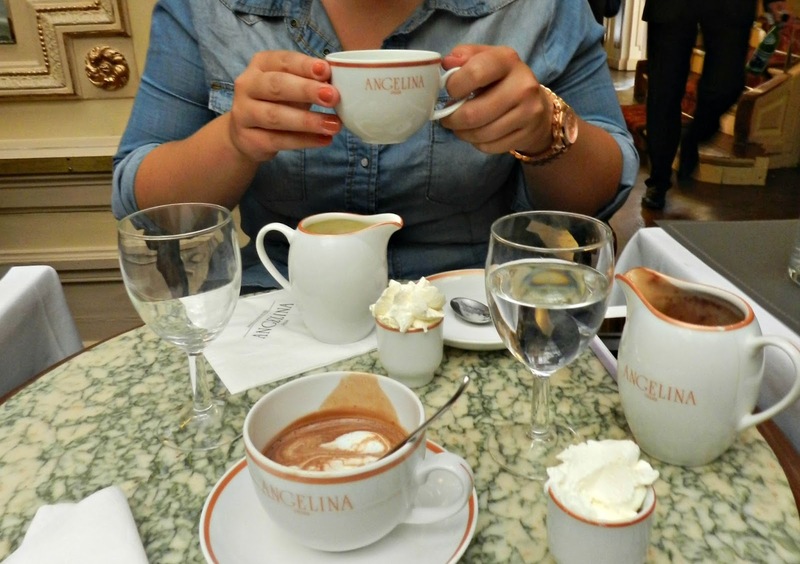 Their hot chocolate is to die for and they have a huge range of pastries and sweet treats too. Try their ice cream in summer or get a hot chocolate to take away from their Rue de Rivoli tea room and head to the Jardin des Tuileries for some prime people watching. It is pricey so prepare to spend quite a bit, more so if you go for brunch. 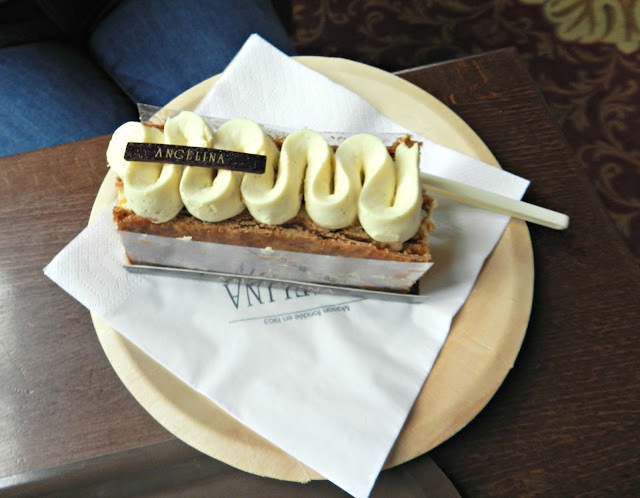 The mont-blanc is a bit much for me, and I have a serious sweet tooth so for something different, I wholeheartedly recommend their white hot chocolate and their Saint Honoré. Getting There There are several Angelina tea rooms in Paris, the Rue de Rivoli location is usually very busy tourist-wise but the tea room is stunning so if the queue isn't long it's worth waiting a while. If it's just the hot chocolate and pâtisserie you are after head to the Jardin d'Acclimatation on the outskirts of the city , it costs a couple of euros to get in but they have a farm and loads of (big) kid activities. Plus, it's next to the new Fondation Louis Vuitton so you should head in that direction anyway. You will miss out on the tea room experience but the cheaper prices reflect that. For that branch the nearest station is Les Sablons at the end of Metro line 1. For the Rue de Rivoli Angelina's head to Tuileries or Concorde, both on line 1. More info about their different locations can be found here. Cost The hot chocolate is c. €10.00 but you get a decent amount and some rich whipped cream to stir through. Pastries vary but expect to spend at least €6 for one. I'm not a huge fan of their Macarons so I would try something a little more exciting here. Tip Don't forget to buy a bottle of their delicious pre made (or powdered) hot chocolate to recreate the Angelina's experience at home.